The novel Salah Asuhan, translated here as Never the Twain, is among the most popular works of modern Indonesian fiction. First published in 1928, the book is still in print today. Hanafi, the novel’s protagonist, is madly in love with Corrie du Bussee, a beautiful Eurasian, though he has long been betrothed, to his cousin, Rapiah. Which woman should Hanafi marry: Corrie, the feisty, liberated Western woman, or the simple hearted Rapiah? 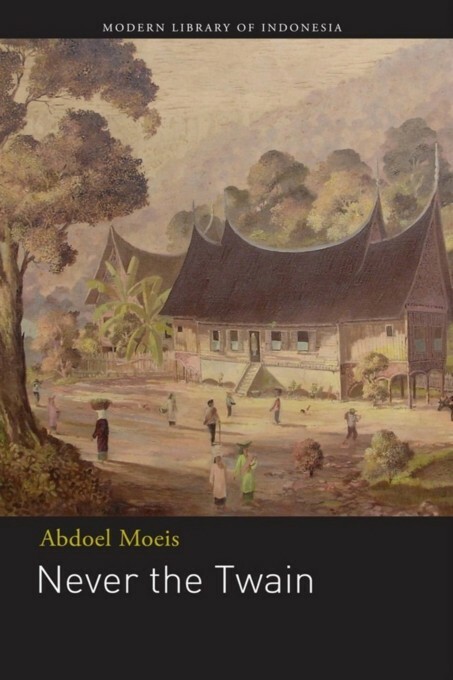 The conflict Hanafi faces serves as an allegory for pre-independent Indonesia as it struggled toward national identity. Which course was the emerging nation to take? Was it to adhere to traditional values or was it to adopt Western notions of progress and modernity when, in doing so, might lead to the creation of a race of people who were neither Eastern nor Western?